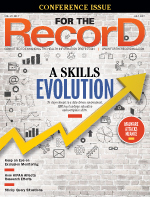 For The Record helps your business grow by offering you the opportunity to purchase reprints of articles or departments found in the magazine, or link to the article from your website. Share them with clients, colleagues, patients, and students. They're also great for your sales force and tradeshow handouts! Simply select an article below and e-mail us or call 877-652-5295 for more details. The release of a federal report based on user insights has the industry reassessing its release of information processes. Protecting health information data takes financial backing from the C-suite to obtain technology and talent. Before adding new service lines or technology, it's prudent that health care organizations ascertain whether the investment will pay off. The move to store multimedia in EHRs has created an opportunity for HIM professionals to assume information governance leadership roles. 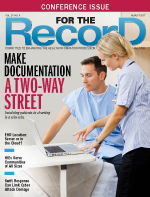 Even in the age of electronic recordkeeping, the integrity of documentation looms large in the effort to provide the best possible patient care. Computer-assisted coding has plenty to offer but coders must be cognizant of becoming overreliant on the tool. Recent coding graduates talk about the skills and characteristics that helped them land that elusive first coding position. The 2018 CPT manual features a slew of additions and deletions to radiology services. In terms of federal incentives, the new year may be a game-changer for behavioral health caregivers and patients. Many experts believe the benefits of centralizing HIM departments outweigh the drawbacks. An IG plan can play a key role in any organization's efforts to conform to a new payment system. Talented transcription teams remain a key ingredient in any successful speech recognition operation. A system on the fritz carries serious consequences besides the obvious strain on patient safety. Some of the most knowledgeable people in the industry tackle reader questions regarding documentation and coding. Clinical documentation improvement specialists must walk a fine line between questioning provider judgment and clinical validation. New quality measures surrounding informed consent are set to make their mark on health care operations. EHRs have taken their fair share of criticism, but there's no denying they can be valuable tools in the fight to prevent lack of authorization denials. Coders may find it hard to believe, but it is possible for coding departments to be tension-free. 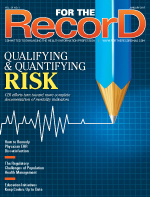 EHRs may hold the key to improving the outlook on burdensome patient recruitment processes, but hurdles remain. For years, the practice has been a thorn in health care's side, but best practices and value-based care may start easing the pain. The NotPetya attack wreaked havoc on hospital information systems, presenting another example of why backup plans are so vital. Data analytics can help health care organizations keep tabs on coder performance and revenue cycle abnormalities. Ensuring EHRs meet user needs with little or no risk to patient safety must be a collaborative effort. Meet two of the leaders behind New Jersey's effort to establish a patient identification system. Patient engagement through digital means such as text messaging and mobile apps comes with its share of HIPAA concerns. Experts say coders would be wise to become familiar with the latest payment methodologies. Telepediatric initiatives are making a difference in the lives of many families. What ingredients are essential to a successful HIT initiative? 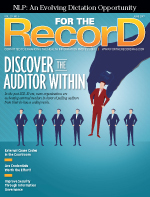 New rules, points of emphasis, and contractors highlight the latest iteration of the auditing program. The market for apps and other mobile solutions looks promising but there are obstacles to clear before the interests of all parties will be met. Streaming video can serve as a valuable learning tool for patients and health care professionals alike. With the right infrastructure, natural language processing has the potential to deliver powerful results. 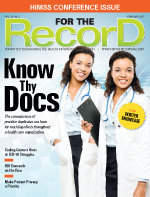 An industry expert offers tips on how to measure the job performance of health care documentation specialists and quality assurance auditors. October 1 brings significant changes to both ICD-10-CM and ICD-10-PCS. Learn the factors health care organizations should weigh when deciding where to house their EMR. Banner Health System's decision to adopt a patient charting initiative has been a winning proposition for all those involved. How a health care organization reacts to a security breach incident will go a long way toward determining its fate. As Colorado and Rhode Island can attest, meeting patients' needs depends on a series of crucial factors. 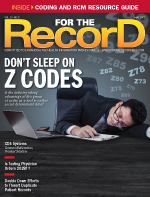 The jolt from the arrival of ICD-10 was real, but its effects on the coding industry are mainly in the rearview mirror. Organizations electing to collect silver emulsoid from old X-rays must keep in mind HIPAA regulations. Designed to strengthen patient data security measures, the Social Security Number Removal Initiative promises to affect provider operations. Data abstraction and reporting can be burdensome, but there are tools available to make the process less strenuous. Learn the basics of exclusion and sanction monitoring, some of the challenges associated with implementing a monitoring program, and helpful hints on how to overcome potential hurdles. As HIM professionals know well, nothing is straightforward in health care—not even asking a question. Determining whether patient data are being used for quality improvement or research purposes can be dicey. These days, data reign in health care. As a result, HIM must shift its approach to education and workplace issues. HIM experts weigh in on the recent cyberattack affecting Nuance. By integrating data from the lesbian, gay, bisexual, and transgender community into EHRs, clinicians will be better able to impact the care of this patient population. An industry expert reviews the intricacies of coding for vaccinations. As interoperability concerns continue to mount and value-based care takes shape, nurse informaticists have taken a more prominent role at many organizations. Documenting in postacute care settings poses a unique set of challenges. More organizations are looking to take control of the auditing process by developing auditors from their pool of coders. A formative study looks into natural language processing's role in solving the documentation quagmire. Take these seemingly disconnected elements and form a hand-in-hand partnership to better protect your organization. How a shooting incident was coded led attorneys to request a new trial in a high-profile case. No doubt, credentials and the credentialing process can be cumbersome. Are they worth the effort? A longitudinal EHR could be just the solution for health care organizations trying to stay solvent in a fee-for-value payment model. Security expert Saryu Nayyar shares her opinions on how health care organizations can thwart hackers, including why machine learning may be a game-changer. These days, cyber threats take all shapes and forms, making it imperative for organizations to create a culture in which protecting data is paramount. 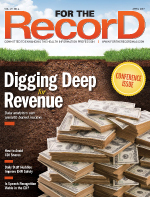 An HIT expert believes analytics is holding back the industry. Astute health care organizations keeps tabs on the effectiveness of their clinical decision support software. Organizations that capture social determinants are likely to enhance their population health and value-based care efforts. With The Joint Commission recently announcing that it was "rebanning" the practice, the future of text messaging protected health information remains up in the air. 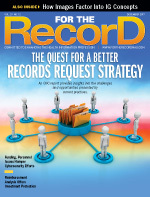 Multiple records for the same patient pose a serious risk to quality of care and an organization's financial well-being. The Common Security Framework can serve as a key tool for organizations looking to maintain strong security protocols. An industry veteran laments health care's failed attempts to meet its fundamental goals while also offering hope for the future. Do the math, and prebill audits look to be a winning proposition for organizations battling claim denials. Back in the day, numerous medical transcription service organizations thrived. Today, a relatively small number have managed to stay afloat. Earlier this year, the Office for Civil Rights levied a heavy fine against a Florida health care system for potential violations of the HIPAA privacy and security rules. What lessons can HIM professionals learn from the case? Using data analytics to increase reimbursement sounds enticing, but the process has several hurdles to clear. 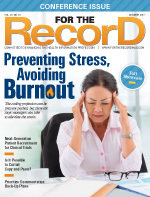 Study findings suggest daily staff gatherings can curtail EHR safety issues. Periodic check-ups can help keep documentation initiatives on track. Industry experts weigh in on a small study that measured the incidence and types of errors occurring in emergency departments. To be effective, patient engagement initiatives must clear hurdles on several fronts. In response to the growing use of telehealth technology, the coding guidelines for these services have been tweaked. Questions about lab orders, child status, and moderate sedation find answers. When it comes to telehealth, some organizations have hit the jackpot while others remain risk averse. HIT tools that promote data gathering and analysis are helping researchers better understand how cancer therapy can become more targeted. In an EHR-dominated world, how to measure the cost of producing quality documents can be obtuse. Recently enacted into law, the legislation features components that may reshape HIT … in due time. Is data science the next big job opportunity for HIM professionals? The best information governance initiatives are enterprisewide efforts featuring heavy contributions from HIM. Studies indicate that patients eager to improve their health will be enthusiastic users of mobile technology. Attacks on devices connected to the internet can be among the most damaging to a health care organization. Document with a purpose—colleagues and patients will be most grateful. To survive in today's health care environment, providers must engage and educate patients on their financial responsibilities, including making payments more convenient. The consequences of provider duplicates can have far-reaching effects throughout a health care organization. 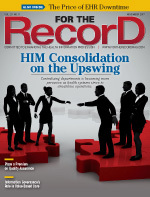 As patients gain greater access to their health records, the burden on HIM departments to maintain productivity levels intensifies. Educating staff on the importance of safeguarding protected health information will create a culture of accountability and correctness. The contest results shed light on where coders are falling short in their quest to master ICD-10. 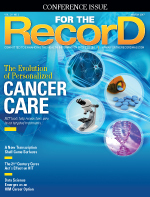 A documentation expert spotlights the finer points of capturing patient data to garner an accurate account of mortality factors. In formulating the ideal EMR, developers should strive to meet the needs of physicians, payers, and patients. Prescription Drug Monitoring Programs have been hugely successful at the state level but there are shortcomings that must be addressed. The next wave of health care IT ecosystems promises to furnish specialty practices with valuable data. Penn's Data Analytics Center features a tool it's dubbed the "Google" of EMRs. Mortality scores can be deathly to a health care organization's revenue cycle and its reputation. Despite the fact EHRs have been around for a while, physician satisfaction with the technology remains dubious. Can the situation be remedied? Organizations must be aware of their legal obligations when implementing such an initiative. Education initiatives are afoot to keep coders and HIM professionals a step ahead of the game. 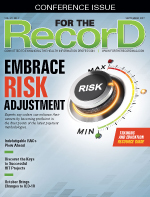 Increased coding operating expenses compelled by ICD-10 production uncertainties have produced an undeniable cost bubble that's about to burst. To ensure a fruitful relationship with remote coding staff—be it your own or a vendor's—follow these pointers. Rod Piechowski, senior director of health information systems at HIMSS North America, offers insight into the pressing issues facing HIT. Valentine's Day is not just for lovers; coders play a role, too. Maintaining HIPAA compliance in the transcription world can be a complex balancing act.